Maybe you’ve heard this one before: UK chip designer ARM Holdings (s armh) is being looked over again as a possible acquisition by a big American company. The rumor mill has fired up again in the past day with talk of Oracle or Intel potentially in the mix(s orcl) to buy the firm at a hefty premium. One report suggested Intel may be interested in buying ARM for 10 billion pounds, or about $16.5 billion. But just as the news was going out, ARM’s CEO, Warren East, has again worked to quiet the talk, saying a sale would be difficult for the company to pull off, because it licenses its chip designs across so many companies in the chip and consumer electronics industry. A sale to Apple,(s aapl) for instance, could undercut ARM’s value while a deal with Intel could face serious regulatory opposition. “ARM has been built around the principle of being agnostic at every point in the value chain. Because of that approach, it means that acquisitions are very difficult. It’s not impossible, but Arm is a very valuable business as it is and a significant part of that value lies in its agnostic approach,” East told the Daily Telegraph. Speculation of a sale has surfaced before, most notably with Apple last year, and there are reasons to covet a company like ARM. Its chip designs are used by almost all mobile phones and many consumer electronics devices, and they’re increasingly getting more powerful, able to take on Intel’s chips in computers and servers. Intel has tried to get its chips to be as power efficient as ARM-based chips, but it is still playing catch-up. This latest talk is most likely just another round of speculation, perhaps fueled by HP’s bid for another UK company, Autonomy. And ARM has plenty of reasons to want to stay independent. A lot of device manufacturers and chip makers would also like to see ARM stay out of the hands of Intel or Apple, because that could mean changes to their licensing agreements or the terms of those agreements with ARM. 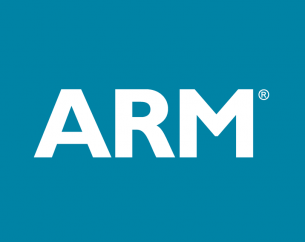 ARM has more than 600 IP licenses with manufacturers. But as we continue to see with the rise of mobile and “post-PC” devices like tablets, the market is shifting away from traditional computers — and the chips inside them. HP’s decision to spin off its PC business only highlighted the trend even more. Now, with even more momentum behind ARM-based mobile devices, it’s not surprising to hear more talk of companies wanting to acquire ARM. However, an actual sale is another matter. But this is the rumor that just keeps on giving.